Succulent leaves and roots of the beets are the perfect breeding ground for the pathogens of various diseases. Disease beet can destroy from 20 to 70% of the crop. To avoid this, it is necessary to take special measures. The root borer is destroying seedlings and sprouts of the plant. Diseased stems of shoots blacken and become thinner, the beet seedlings are killed, failing to reach the soil surface. The disease occurs due to increased acidity of the soil, lack of aeration, poor cultivation of the land. The root borer – a disease of the beet, which may persist in the soil, accumulate on the remains of plants spread through seeds. To combat the disease in the fall should be made in the acidic soils of the limestone. In the spring before planting the ground should be treated with a boron solution. To prevent the occurrence of root borer, regularly loosen aisle beet, fall, burn all plant residues. To avoid many of the diseases will help the alternation of crops on the same soil. The stem is also called the medullary rot. Disease affects stalks, leaves and roots of beets. First, on leaves and petioles, there are bright areas with black dots – fungus sporulation. Next, the stem penetrates the roots and develops in it. Infected roots are black on the inside, juicy and solid diseased tissue. During storage at these sites can be void with white mycelium. The peak of its development the stem reaches during winter storage, often at this time he is revealed. In some cases the stem may not be an infectious disease, the cause of its occurrence can serve as a boron deficiency in the soil. If an illness has appeared because of this, the plant grows poorly and develops, he begins to die young greens. Next, begin to suffer root vegetables, they formed the mold of black color. To store winter squash the most healthy and strong beet, because infected roots can infect the entire crop. To combat the disease should be promptly incorporated into the soil boron fertilizer in the fall to burn the plant residues. Helps prevent the appearance of phomosis soak beet seeds before planting in a 1% solution of boric acid. Fusarium root rot usually affects the beets in early summer. In plants affected by the disease, start dying lower leaves, the petioles blacken, and the root cracks filled with white bloom. Brown rot appears on the tail of the root, and beet stalks and on the soil surface around her. Appears brown rot due to excessive soil moisture and high content of nitrogen. 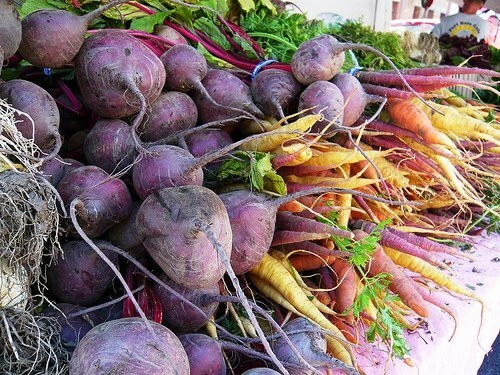 To protect the beets from the rot, it should be limed soil, loosen the aisle, to make fertilizer with boron content, to deal with pests and destroy all plant residues.